Today marks 3 months since my mom died. This emptiness is real I deal with it but must live. My mom was prissy and loved the hair, nails, clothes perfume, shoes etc… (not make-up). I like it ALL but haven’t kept myself like I once did. So TODAY I think I’ll reintroduce some things into my life. I really do feel better when I look better and keep myself up. So… In keeping with my debt free journey. I remember telling this angry and uncertain graduating senior that the world owed her nothing. That her misplaced frustrations had less to do with others and more to do with herself. That life was hers for the taking and a bus ride to college with nary a penny to her name would just be her current lot in life. That was five years ago and she hasn’t looked back since. Every once in a while, God sends others to remind you that time certainly taught you some lessons that should be shared. 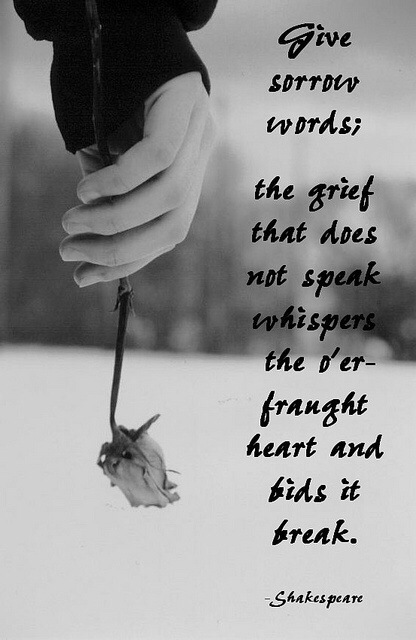 That heartache and loss isn’t just a personal experience but something to ultimately give like sand on a beach. We go through life so wrapped up in self, hardly realizing the fellow man who is but a hairsbreadth away. Watching, waiting, and wanting to be noticed. Our challenges, our trials, and indeed our pain isn’t just an experience to be endured without incident. The waves of life should be ripples that ultimately wash over the lives of those we connect with. Many falter at the doorsteps of a bright future only because another has failed to simply be transparent in their living. I often think of this season in my life and wonder what of this pain? What of this gnawing emptiness that creeps about like an unwanted visitor? Seems as if the more we share on social media the more we hide from others and ultimately ourselves. Imagine a world where people didn’t hide their tricks of the trade. That the proverbial career ladder was wide enough for everyone to fit on. That education wasn’t for just the elite. That healthy relationships weren’t a mystery but the norm. That people would just be truthful in their living. I don’t know what it is about wearing a nice pair of shoes that appeals to me. My brother and I both have the vice. He’s a sneaker head. And I, well I just like anything that fits well and looks good. That can be a pair of red Converse, some black Nike duck boots, red and camel Frye cowboy boots, or some BeBe shoes I bought over ten years ago that I still have in my collection. You know you are a shoe fiend when you have more shoes for one outfit or the outfit has long since left the closet and the shoes are still there! I may have to go sit on someone’s couch to analyze this love affair for shoes. I didn’t grow up having a lot of pairs of shoes. My parents never bought us name brand anything but I knew from my mom’s old pictures that she had a mean shoe game herself. Cancer didn’t strike her shoe taste dumb or blind. Whenever I came to visit her from work or on the way to church, first thing she would do is compliment my shoes. Game recognized game. I’m quite selective in my shoe choices. No $10 shoes here. No run of the mill shoes for me. They don’t last long, the heels tend to wobble, and they come a dime a dozen. Who wants a twin shoe wearer at a party? Not I says the cat! I’m not selective on where I buy shoes from. I got a pair of never worn label brand shoes from Goodwill. I do Macy’s, Ross, Marshalls, DSW, and gasp! I even do EBay. That’s a story for another blog! Now I do have some dream shoes on my list. One of a certain soled shade. And another of a certain vintaged name. A girl can dream and work hard for hers. And the big 40 is right around the corner. I’m sure the therapist who analyzes my fetish may find some personality flaws that lend to my passion for shoes. So I may as well save them the trouble and diagnose my damn self. Personality disorder: shoe lover. Treatment plan: buy shoes. I don’t know what it is about home and life organization that appeals so much to me. In my next act I think I want to be an organization guru to people who need to “fix” their life. I think I got the trait from my dad. Everything in his space has a purpose and everything has it’s place. For a man, his room is meticulous. My mom’s linen closet was always neatly stacked and to this day, folded towels on a shelf makes me feel like all is right with the world. Now I’m not a neat freak by a long shot. As I type, I’m staring at an overflowing laundry basket that won’t get tended to for another few days. But the point that there is a laundry basket (and mine are all pre-designated for specific clothing) speaks volume about the importance order plays in my life. I read somewhere that being organized is less about being neat but more about having a designated place for your possessions. Is your make-up strewn about the bathroom counter? Can you find a jewelry piece at a moment’s notice? Is your laundry languishing on the floor? Are your cleaning supplies hidden under a pile of junk in the garage? Are your shoes under the bed (major pet peeve!). I spent five months staring at my home office. It resembled a scene out of hoarders. Paper everywhere! I promise you my headache didn’t subside until a trip to Office Depot, some hanging folders and new shredder did the trick. I think it’s a mental thing. Organizing one’s home or dare I say one’s life is part of the key to peace of mind. After all, a cluttered house is a cluttered mind. Embarking on an organization project can be intimidating to say the least. Taking baby steps will help. -Organize your important documents. Plenty of websites can help you in figuring out what to keep and for how long. -Give away, donate, or throw away. It’s easier said than done, I know. -Buy some storage items and pack or place things away. Office Depot, Home Depot, The Container Store, Walmart–whatever floats your boat and is in your budget. -Get creative. My most prized Pinterest project was staining a wood tie rack that was just sitting unused in my husband’s closet. It now hangs all my necklaces and has space up top for some framed photos. I’m not sharing anything new. Plenty of websites can help you get on your way. I’ve been itching to “organize” somebody’s life! Nothing like a 180 degree change to make me feel accomplished. Today is my Mom’s birthday. She’s celebrating in heaven. Losing a love one is never easy, but saying goodbye to a parent hits the core of your existence. It doesn’t matter what type of parent they were or were not it still hurts. I’ve had a very interesting 9 weeks since we said goodbye. Mostly revelations about life, people, purpose, family and my core values and essential needs. I’ve had to work through a few stages of grief and still am freshly overcoming each thing that triggers a memory. I dreamt about my mom last night. Not much that I can remember other than the last bit of it where I’m sitting and watching her sleep. That was usually how it was towards the end. Her strength was waning and sleep was her friend. I often wonder if she knew that the end was near. With all the signs present, I certainly didn’t. I knew she wouldn’t last the year but I didn’t know it would have been this soon. God spared me the details and for that I am thankful. In the dream she’s dozing off slowly. Her eyes are fighting to stay awake but eventually she succumbs to this peaceful sleep. In the dream I’m just staring at her, noting her features and her labored breathing. I’m in the “stage” of grieving where life and living has snatched me back into its clutches. There is no getting around work and life. There’s no getting around paying bills, running errands, doing chores. I wish I was like Mellie (the President’s wife) in Scandal. A robe and a pair of Uggs would be my fashion faux pas every day. Visiting the grave site of my mother would be my weekly field trip and laying in the warm sun next to her marker would be my nap. Television has such a way of romanticizing loss. There’s no luxury in real life of sitting around in one’s robe and allowing the passage of time to soothe one’s longing for their departed loved ones. There is no checking out of day to day living to just be. And that’s just going to have to be okay. Stealing away to be one’s self through grief and loss is a random act of self care. It looks like an early morning pedicure, like reading a Bible study on grief, like car drives to places you have never been, like singing worship songs at church, like reading a book, it looks like blogging. It’s a finite time you set aside to just be. To envelope one’s self in that cloak of sadness that’s never too far away from reach. To recall the memories that forever link you to this loved one. I look forward to these times where I can be my true self. When a box of tissues is the only thing I need. It is what helps the healing process continue. It is the necessary part of living with loss.